Yesterday I had the pleasure of attending a talk by Barbara Yelin, German illustrator and author. She was demo-ing a live drawing session as part of the Toronto Comic Art Festival. In addition to being an enchanting speaker, Yelin’s artwork is marvelous. 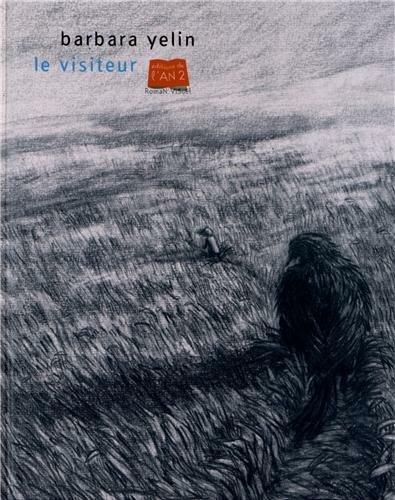 I particularly liked some of the images she showed from one of her wordless earlier works: Le Visiteur. 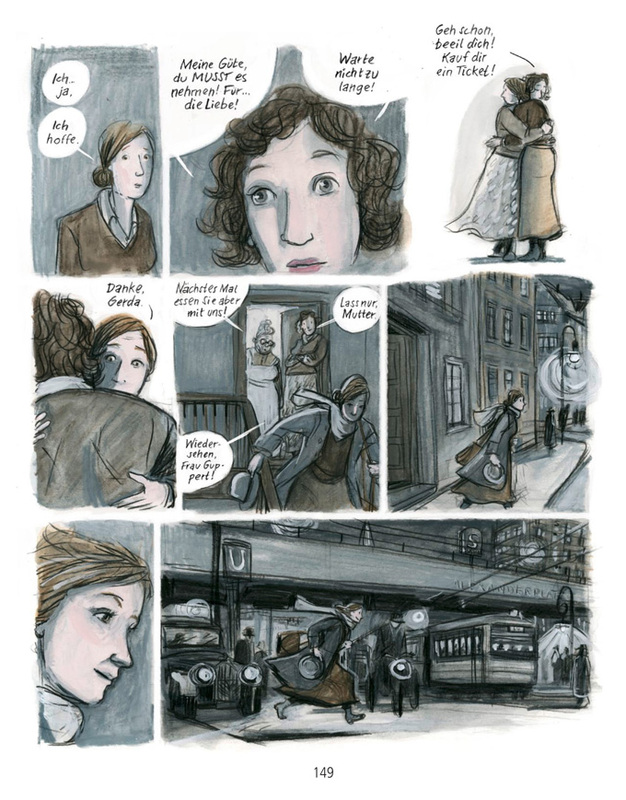 In Le Visiteur, Yelin explained how she uses drawing as a means to uncover her characters and eventually, the plot. For example, she described how she would draw an interesting space, and old house for example, and as she kept drawing perhaps a laneway would appear, lined with trees. And in a drawing after that, perhaps a small figure would appear. As she moved (or drew rather) closer, she might discover this character is in fact a little girl carrying a basket of fish. 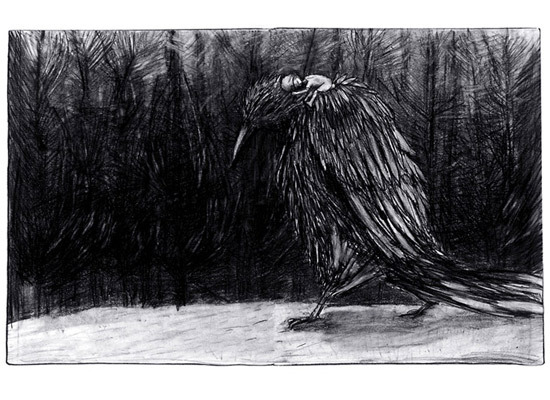 And eventually perhaps another character – a giant of a bird – may turn up. Voila, protagonist and antagonist, respectively. And the story evolves and continues in this way, drawing after drawing revealing who and what happens next. Contrast this with some of her later work, which arguably is more in keeping with the standard graphic novel tradition of page layouts, panels, dialogue and narrative, and related elements. While the latter is sophisticated – evincing thought, planning and effort, as well considerable technical skill (see page spreads in Irmina) one might wonder if there is something, some spark of deep, dusky intuition, that is best nurtured when coaxed from a drawing, as opposed to when words and plot must march to page layouts and drawings must live within panel borders.